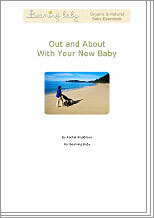 Baby Care Expert Rachel Waddilove has created these thoughtful tips when you go out and about with your new baby. Taking your new baby out and about! Rachel Waddilove, "Maternity nurse to the Stars" recommends going out as soon as you feel ready. Rachel provides a list of things to remember when going out. What Do I Need for An Outing?